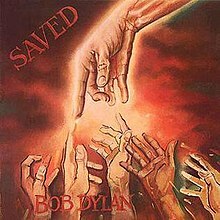 BOB DYLAN: SAVED: 1980: 3 1/2 STARS OUT OF 5 STARS: The first time I saw Bob Dylan in concert was in the summer of 1980 on the Saved Tour- it was a great concert. Of course some people were upset that he wasn’t playing “Like A Rolling Stone” etc.. I don’t know if they were living under a rock because it was well known what he would be playing. This is the second of the three Dylan religious – gospel music period albums. I think the songs were better on Slow Train Coming and the production was better. In The Garden is a real standout. 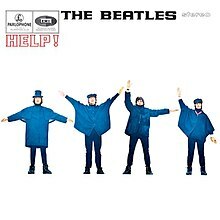 THE BEATLES: HELP! 1965: 5 STARS OUT OF 5 STARS: The Beatles 5th album in a little less than 2 years. Soundtrack to their second movie. Seven of the songs appeared in the movie which original title was “Eight Arms To Hold You” Best known songs- Yesterday, Help!, Ticket To Ride, You’ve Got To Hide Your Love Away- the last Beatles album to have covers- and they were good ones- Act Naturally- a great song for Ringo to sing and John singing Dizzy Miss Lizzy. 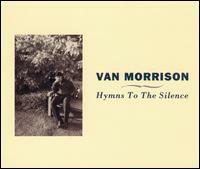 VAN MORRISON: HYMNS TO THE SILENCE: 1991:4 STARS OUT OF 5 STARS: Van’s first double album. It would turn out to be one of his better 90’s albums- it being a double album it covers a variety of music styles and some of the songs are clearly autobiographical. Best songs on the album- Carry A Torch, On Hyndford Street, Why Must I Always Explain, I’m Not Feeling It Anymore,. The album went to #5 in the UK but barely cracked the Top 100 in the US. In The Garden and A Satisfied Mind are the songs I remember the most from the Saved Album. I don’t like the production on Saved which is odd because the same crew from Slow Train Coming- did it. That is odd because you wouldn’t think they would change anything on Saved because didn’t he win a Grammy for Slow Train Coming? Maybe it is just my ears- or maybe they spent more time working on Slow Train- as you mentioned earlier this week Bob’s albums at times are rushed. He’s not Fleetwood Mac in the studio polishing things up. I don’t like over production a recent example is the Bruce Springsteen Wrecking Ball- some good songs on it but I have a hard time listening to it. No not overboard. You can polish the soul out of a song. I think the newer Stones albums have a bit too much. I miss the Exile feel… The Stones don’t benefit from a lot of production. Certainly agree with you on The Stones… I think The Beatles with Sir George at the controls sounded just right- if you didn’t know and listened to Let It Be- I think you would be able to tell someone else was at the controls. I like the mono mixes he did also. The most polished album had to be Abbey Road…the least…with George I would say The White Album…not counting the early ones. Let It Be did have a different sound that is for sure. I would agree Abbey Road the most polished.. can you think of anyone else who has tried the side 2 Abbey Road medley of songs? Nothing comes to mind when I think of that. No I havent. You would think that someone would try that. A good way of getting some use out of half-finished songs…but then you are compared to that…and you won’t beat it. Yes no matter what you do- its not going to be a good comparison. To be compared to them you cannot win. Some groups have done Suites…Grateful Dead on Terrapin Station but it wasn’t the same thing. I need to explore Van’s post – St. Dominic’s Preview catalog more. I’m only familiar with Veedon Fleece and Enlightenment. Where should I start? I don’t really know if there is a terrible Van album- everything even the most mediocre album has something on it worth hearing. I am not a huge fan of A Sense Of Wonder. Otherwise–the 90’s onward albums I must admit I didn’t buy at the time but have caught up on in the last decade- they didn’t get a lot of attention but while there is no Astral Weeks or Moondance among them some decent stuff. Dylan has some real stinkers in his catalog- I think Van has for the most part avoided that- maybe the worst Van is a 2 star effort.